Honda Livo is a new addition from Honda. Livo is basically an everyday use bike for use in cities and rural parts of the country. 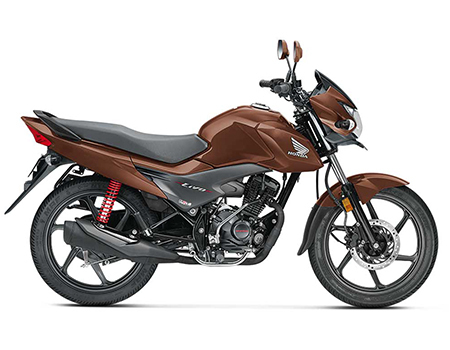 Honda Livo has replaced CB twister model and gives better mileage and has more modern design than its previous model CB Twister. The Livo is the only motorcycle to offer Honda HIICS technology in this segment. It is available for purchase at all the Honda Motorcycles showrooms across India. It is one of the best 110cc bikes available in the market. Honda Livo is Bharat Stage IV (BS-IV) compliant bike which is as per the norms issued by the honourable Superme Court of India in 2017 to curb pollution. Honda Livo bike insurance can be renewed at any general insurance company offering bike insurance. It is suggested that you go online and log on to Coverfox.com to check and compare various bike insurance plans offered by various insurance companies. You can select the plan which will be ideal for your Honda Livo. Purchasing bike policy online will also give you a better deal, saving you money on insurance. Long-term bike insurance plans are available for 2 and 3 years term. This will not only save you money and hassle of annual renewal but will keep you protected for any inflation for the long policy term. The bike has drum brakes, alloy wheels, self and kick start, tubeless tyres. Good body design, 110 cc engine etc. Honda Livo gives an impressive mileage of 74 kmpl. Yes, you will get a reminder via a SMS and Email to renew your Honda Livo bike insurance if you buy or renew the insurance cover from Coverfox.